BigChange has worked closely with Google Maps over the last three years, they found the team highly Professional, Knowledgeable and Skilled. BigChange is committed to Google Maps for the long term and have renewed their contract which will see the base grow in the United Kingdom alone to over 50,000 subscribers by 2020. Martin Port Chief Executive Officer of BigChange commented “Google Maps has really helped our company deliver a collaborative unique solution that is enabling Small, Medium and Large organisations benefit driving improved customer service, productivity gains and reduced accidents due excellent driver behaviour. Google Maps really impacts positively in so many ways and along with fantastic Enterprise Support 24 hours a day what more could you want from your Mapping partner”. 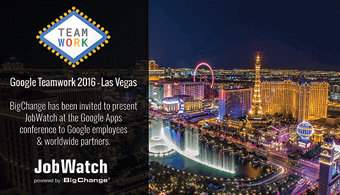 BigChange plans to integrate Google Apps into the JobWatch system this will give all companies a complete End to End solution that will enable voice communication, email and document management working in synchronisation with BigChange JobWatch system.